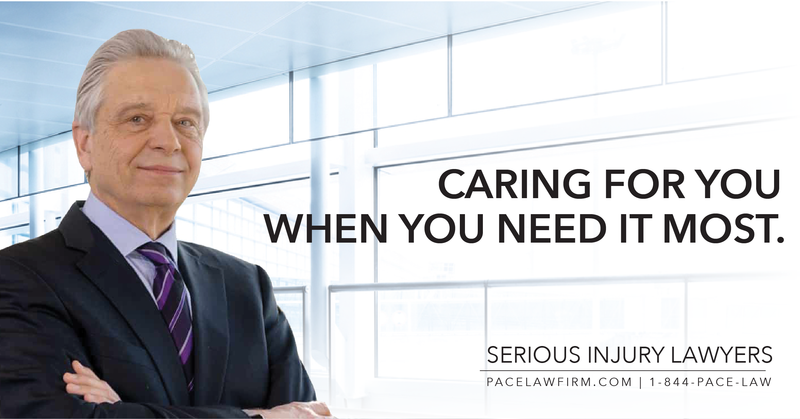 Pace Law Firm is a leading mid-size personal injury law firm with five locations across Ontario. The Firm was looking for an awareness and lead generation program in what was already a very crowded market place. With over 35 years of experience and a legal team of over 170 professionals, Pace Law has unparalleled expertise and experience. Communications audit of social, website and digital presence. Strategic, bottom-line focused daily social media content strategy for Twitter, Facebook and LinkedIn that demonstrated thought leadership and expertise with augmented shareable and relevant content. Daily community management of social platforms to build relationships and increase engagement (comments, likes, shares, favourites, etc.) among current and prospective clients as well as referral sources. Online reputation management to position Pace as an accessible firm open to dialogue and the sharing of best practices. App promotion to drive downloads for regular reminders of the firm prior to an accident. Facebook is among the top two referral sources to the Pace Law Firm website. The Firm is now connected with more rehab centers, other personal injury lawyers and medical facilities than ever before. Constant monitoring of the social media platforms allows Pace Law Firm to use these platforms as a vital tool for customer service. Brown & Cohen has been engaged to build on the success of year one with an expanded campaign that includes SEO, Search Engine Marketing and Digital and traditional advertising.